SIZE 13" x 19 1/4"
Arlene Owseichik has designed posters for Bill Graham Presents since the 1980s and became the company's Art Director in the early 1990s. 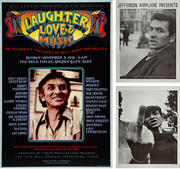 Working both solo and with freelance artists and photographers on design projects, the San Francisco artist collaborated with Randy Tuten on the 1992 "Laughter, Love, and Music" poster sold to raise money for the Bill Graham Memorial Fund, designed poster art for H.E.A.R. 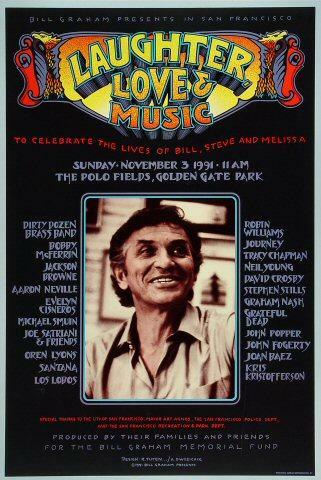 [Hearing Education and Awareness for Rockers] and is a member of the Bill Graham Foundation Advisory Board.